Sunderland striker Duncan Watmore has signed a new four-year contract. The 21-year-old England Under-21 international, who scored on his Premier League debut in August, is contracted to the club until 2020. 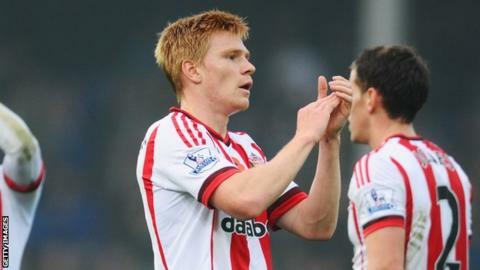 Watmore, who joined Sunderland from Altrincham in 2013, has made six appearances this season. Black Cats manager Sam Allardyce said: "Duncan is an exciting prospect and the kind of talent you want to see coming through at your club."